This week has been a long one, so I am glad that the weekend is here! Our weather has been dreary for the last two weeks, and even chilly, making the days drag on! I am hoping for some sunshine this weekend! For today's Five on Friday (linking up with the fab April, Natasha, and Christina), I'm sharing some of my favorite recent Mark & Graham finds. Do y'all shop Mark & Graham? Every time a new catalogue arrives I get a little bit giddy. Their pieces are of utmost quality, the monogramming options are endless, and every order comes with complementary gift wrapping, making them a go-to for gifts...and a frequent flyer on my annual holiday gift guides. 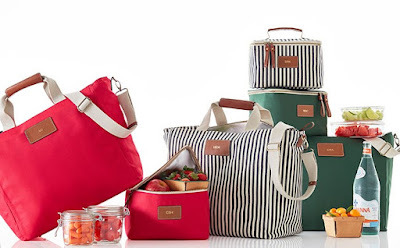 I have been swooning over this tote since last summer! 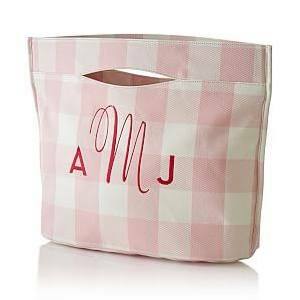 I'm a sucker for anything gingham...and pink, and think this tote back is the cutest! That being said...I need another tote like I need a hold in the head, so I haven't bit the bullet. Can y'all relate? 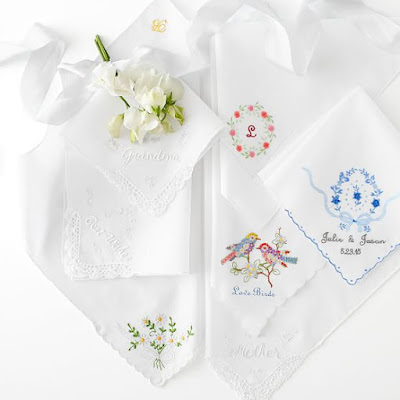 Every time I see a hankie, I automatically think of my grandpa, who always had one of hand for tears or sniffles. These are so sweet, and have a vintage vibe. I think they would be perfect mother of the bride and groom gifts for a wedding! In the latest catalogue, I was drawn to their new insulated collection...perfect for the river, beach, or summer cookouts! The have an insulated tote, lunch box, casserole holder, single wine tote, double wine tote, and even a pannier to carry a picnic on your bike! I love a stylish barrette, and have quite the collection of J. 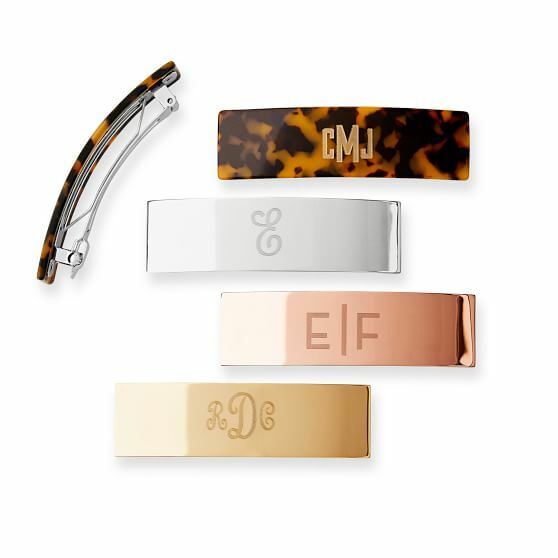 Crew tortoise ones, but I am also loving these metal monogrammed options! The classic gold is my favorite, but the trendy rose gold is fun, too! The Derby may be past, but a good julep cup never goes out of fashion and the hexagonal shape of this one is a great modern twist! 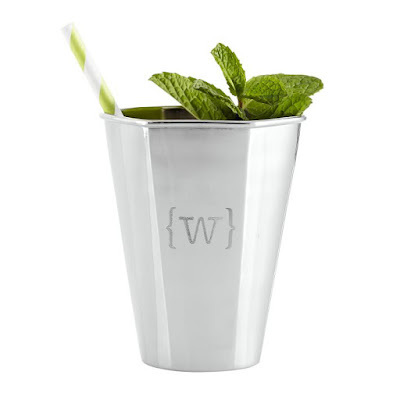 I love julep cups for summer cocktails, with a big scoop of crushed ice; but julep cups also make lovely vases. Hydrangea season is coming! Have you shopped Mark & Graham before? What are your go-tos for gifting? I've never shopped them before but I think I'm going to need to check them out now :) I love the insulated collection! So can I tell you that I've never shopped Mark & Graham?? That whole stripped & insulated collection is fantastic, and now I definitely need to check them out. Hope you're having a great weekend! That pool tote is precious! I have never shopped with mark and Graham. I will have to give them a try the next time I'm looking for a personalized gift.